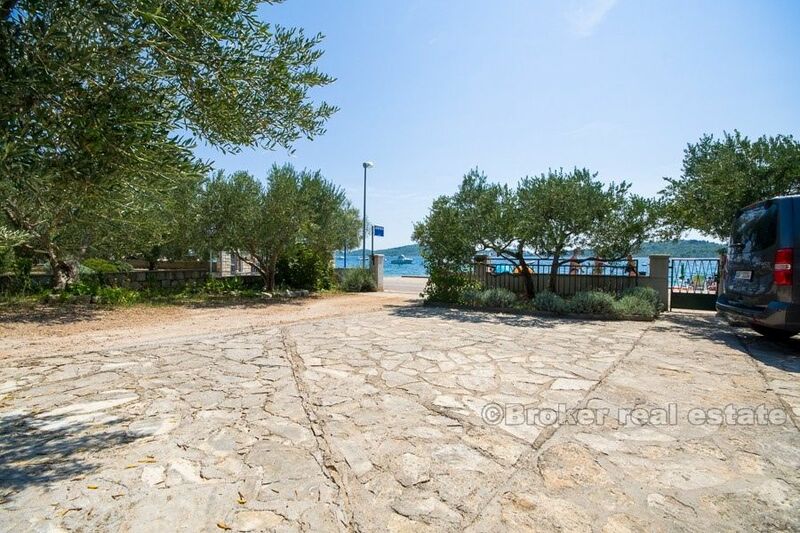 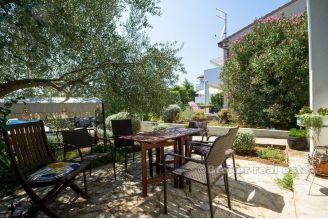 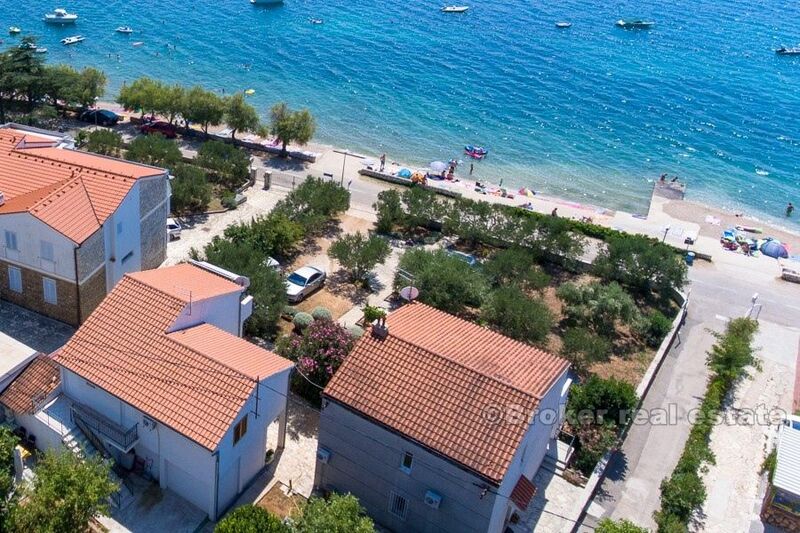 Croatia,Vodice - Two houses on a larger plot, by the sea, for sale. 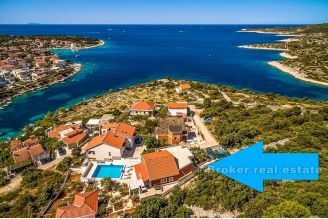 Croatia, Vodice - Two houses on a larger plot, by the sea, for sale. 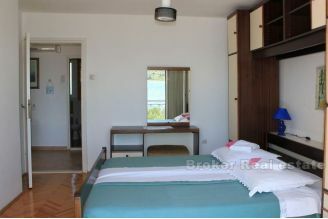 Rarity in the market! 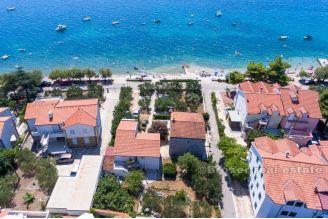 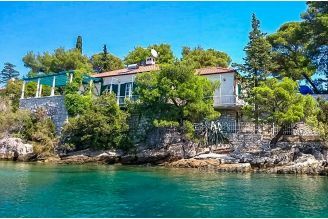 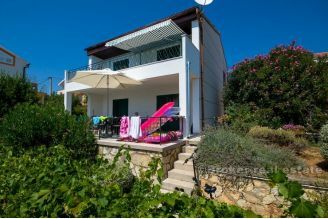 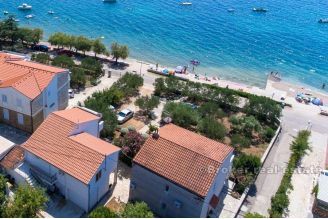 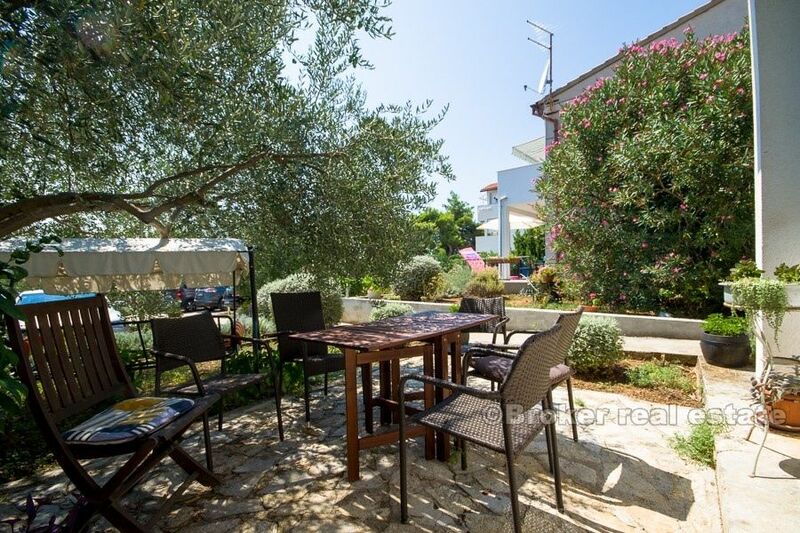 Two detached villas in the most beautiful part of Vodice, first row to the sea and the beach, with a beautiful panoramic view of the sea and the islands. The total square of both houses is 360 m2 and are located on a plot of 1450 m2. 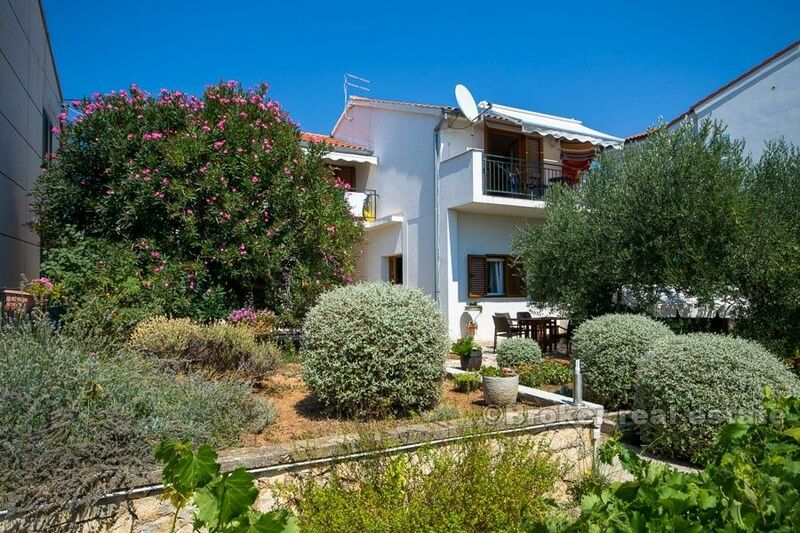 - Smaller house is two storey with an internal staircase and has two identical two bedroom apartments consisting of a hallway, bathroom, kitchen with living room and two bedrooms with access to beautiful terraces overlooking the sea from which the ground floor terrace has as much as 40 m2. 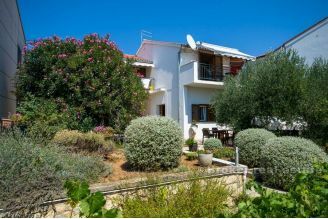 - The larger house is also two storey, but with an external staircase, and has 3 separate living units. 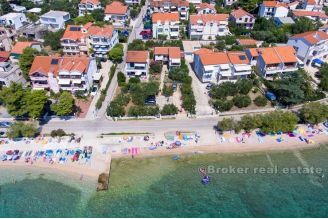 On the ground floor there is a large apartment of 100 m2 m2 which consists of 2 bedrooms, bathroom, hallway, kitchen, living room with dining room and large terrace with sea view. 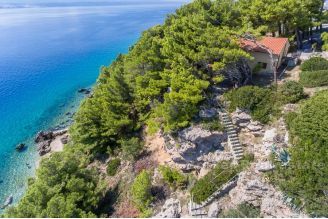 The exterior staircase leads to the first floor where there are two smaller apartments with access to balconies with a beautiful view of the sea and the islands. 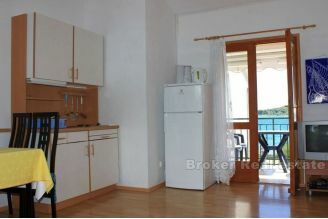 All apartments are equipped and furnished and are rented during the tourist season. 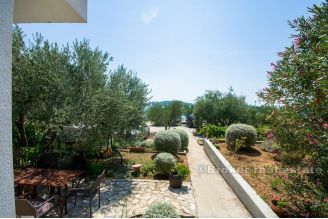 In front of and behind the house is a large garden cultivated with Mediterranean herbs: rosemary, lavender, olives and figs. 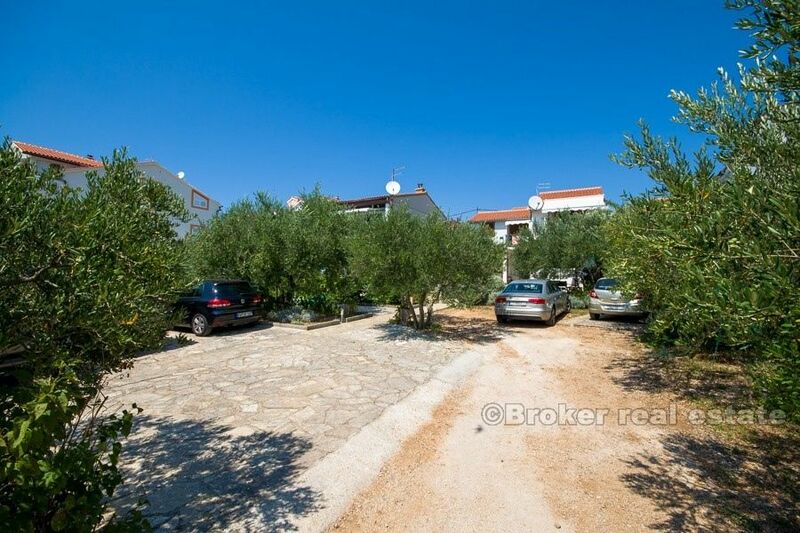 In front of the house is a parked parking area of ​​at least 5 cars. Excellent location.